An issue that had lay dormant in English football since the mid-1980s has reared its ugly head in the last twelve months, causing the game’s governing body to seemingly lurch from one crisis to another. It just won’t go away. It is not an issue that can be swept under the carpet or solved through negligible fines or bans. It is through campaign and action that the FA can justifiably take a lead – as ever, though, the common denominator between English football’s governing body and crisis is chronic inertia. This writer was at Anfield on Saturday to see Liverpool face Reading, a fixture which coincided with the FA’s annual ‘Kick it Out’ campaign. At half-time there was an announcement proclaiming that Liverpool Football Club supported the initiative, whilst a banner that advocated equality was paraded around the outfield. The campaign’s intentions are commendable, but clearly it is severely underfunded. It operates as a five-man organisation on an annual funding of less than £300,000 which covers the costs of its activities, including producing and posting 5,000 t-shirts to clubs across the country. In spite of the FA’s vacuous authority over the matter, high-profile Premier League footballers have taken the lead. Their courage and determination should be applauded; they stand out as a shining beacon for a profession which is so often derided and despised for producing monosyllabic drones who lack the common touch. 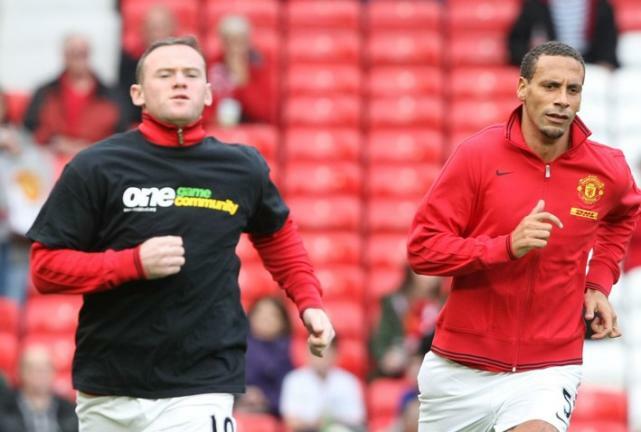 The actions of Rio Ferdinand, Jason Roberts and Joleon Lescott on Saturday, in refusing to wear the ‘Kick it Out’ t-shirt, have given the cause more exposure and encouraged a rational debate on the campaign’s merits – indeed the fact that Lescott has shunned the organisation’s campaign for the last five years has previously received little publicity. These three high-profile figures were supported in their protest on Sunday by a host of Everton and Queens Park Rangers players, including Rio’s brother Anton. The Montgomery Bus Boycott it may not be, but it is a start. This has been brought into fresh perspective by a certain number of accusations laid out by Manchester United manager Sir Alex Ferguson, both in the buildup and in the aftermath of the weekend’s activities. In describing Ferdinand’s protest as “embarrassing for me” Ferguson has not so much missed the point as lost the plot. A far bigger crime than subverting this Knight of the Realm’s authority is to support a cause, especially one as high-profile as this, that you no longer have faith in. By suggesting that Ferdinand would be disciplined as a result of standing up for his principles, Ferguson is in danger of distorting the intentions of the protest whilst undermining any attempt to encourage reasoned debate. No doubt Ferguson wanted to paint a united front for a campaign that he himself supports, but to paint over the cracks would have been futile and hollow. A false show of unity would have hindered progress, instead a new angle on a long-running debate has emerged, keeping it at the forefront of the news agenda. ‘T-Shirt-Gate’ has opened doors in this country, whilst on the continent doors are seemingly slamming shut. The racial abuse that England U-21 International Danny Rose suffered in Krusevac, Serbia last week told only half the story; the resultant cover-up instigated by that nation’s governing body was nothing short of despicable. The attempts of the South Yorkshire Police to shift the blame for the Hillsborough disaster from themselves onto Liverpool supporters received universal condemnation last month – and so should the Serbian FA’s derisory allegations against Rose. The disgraceful scenes in Serbia last week offer a stark reminder of how developed the racism issue is within the English game, where the argument is focused on nuances – currently the credibility of a message on a t-shirt. Several commentators have accused the FA of hypocrisy after demanding that both UEFA and FIFA take action against the Serbian FA, before sorting out their own problems at home. But this ignores the fact that comparing the two countries is chalk and cheese. 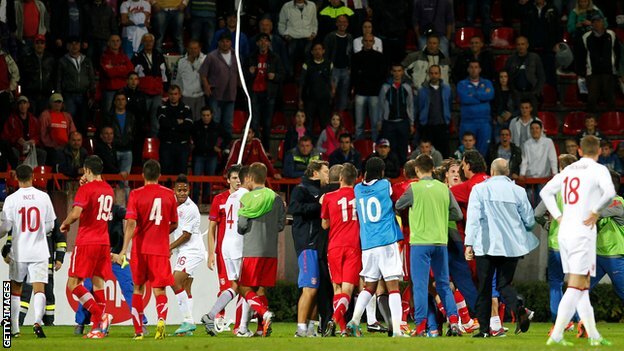 The situation in England is far from perfect, but Serbia themselves are serial and repeat offenders. Sure, the FA must put its own house in order if it is to become a credible observer on world football’s issues, but is it any wonder they feel the need to make demands of a ruling authority that continues to prove inept at governing? It has been almost a week since events in Serbia, yet both Michel Platini and Sepp Blatter have failed to act in a responsible matter. 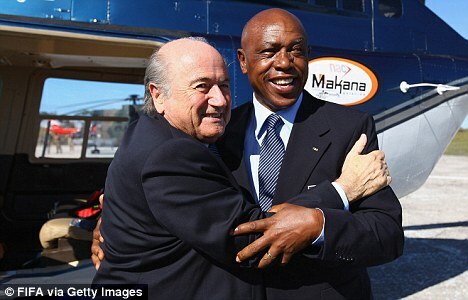 A glance at the FIFA President’s twitter timeline speaks volumes over where his priorities lie – though he has expressed sadness at the perpetuation of racist incidents in football he believes we, as a collective, should ‘keep fighting to eradicate discrimination from our sport.’ It would be wise of Blatter to consider that actions speak louder than words. He remains an ardent believer that football connects people and cultures all over the world, but his lack of direction plainly suggests otherwise; one day he is sending his support to the Kick it Out campaign, whilst the next he is lauding the universal compatibility of football and cinema in Zurich. The credibility of FIFA and UEFA’s disciplinary processes are so damaged that they are now regarded as part of the problem rather than the solution. When UEFA President Platini was questioned on the prospect of Mario Balotelli walking off the pitch if he were to receive any form of racial abuse during Euro 2012, the Frenchman replied “It’s a yellow card.” Trusting in UEFA to pursue a severe punishment against the Serbians would reckon against their own incredulous logic which perceives tardiness as more damaging to the sport’s image than racial abuse (last season FC Porto were fined €20,000 because of the abuse their supporters directed at Balotelli, whereas Manchester City were fined €30,000 for arriving 30 seconds late to the second-half of another match). When viewed in a pan-European context, quibbling over the nuances of the weekend’s T-shirt saga fades into insignificance. A protest at the tokenism of action against racism in this country is a world away from the ferocious abuse that Danny Rose suffered in Serbia in mid-week and far exceeds the post-match handshake that Sepp Blatter claimed would suffice last year. But by no means should the FA rest on its laurels, because inertia will solve nothing. The ‘Kick it Out’ campaign is a worthy cause but it is being held back by those who finance and govern it; it is only right that this is being challenged in a positive way. There is a stigma in this country attached to criticising a good cause, but the actions of Ferdinand, Roberts, Lescott et al can help to re-energise the most visible anti-racism campaign in the English game. This entry was posted in Analysis and opinion and tagged anton ferdinand, danny rose, FA, fifa, jason roberts, joleon lescott, kick it out, mario balotelli, michel platini, one game one community, racism in football, rio ferdinand, sepp blatter, serbian fa, sir alex ferguson, uefa by James Dutton. Bookmark the permalink.